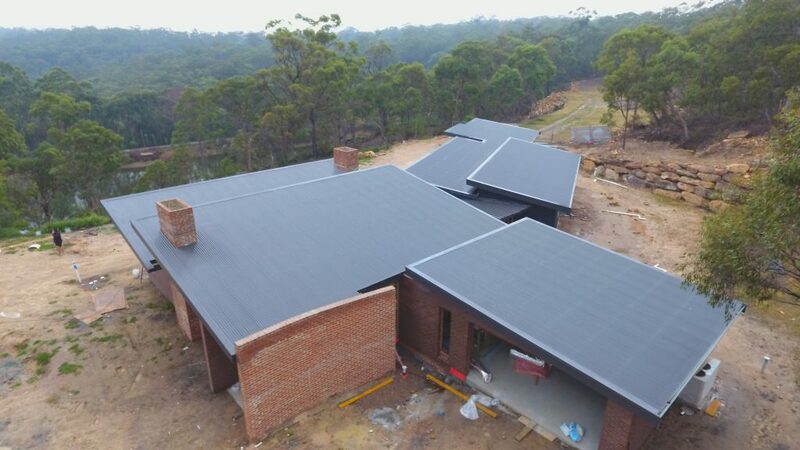 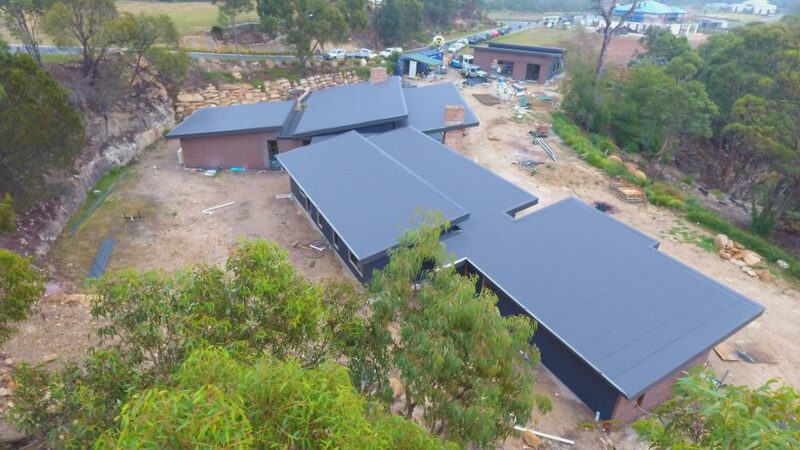 Final stage of a new build in Glenorie, Sydney. 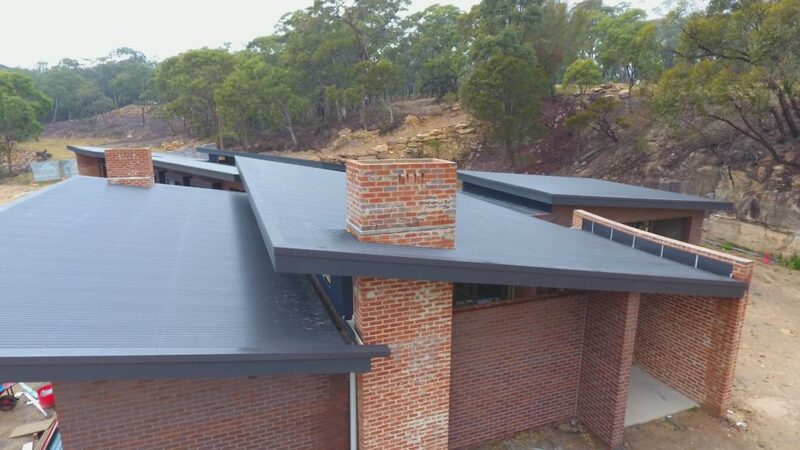 Roof sheets are 0.48bmt in Custom Orb profile and box gutters in the colour Monument. 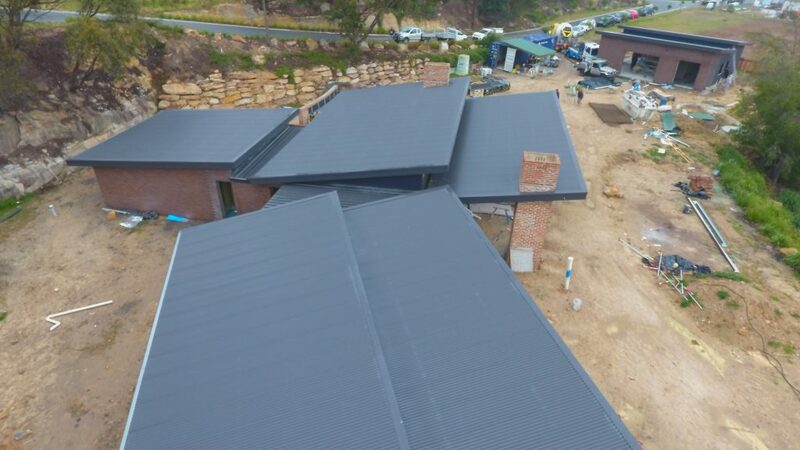 See the Glenorie Colorong Metal Roof video here.